Our challenge: Work with residents to make maps that show the many different ways a neighbourhood can be experienced and explored. Back in 2011, Bricolage Urbain was awarded its first official project! Fresh out of planning school, this was our opportunity to put our ideas to the test. Hosted an “Introduction to Social Mapping” seminar, which offered residents an opportuntity to learn about the basic principles of social cartography and to understand its purpose within their community and wider arts culture. Ran two hands-on map-making workshops with residents, offering them an opportunity to work together to document their personal histories and priorities in the neighbourhood. Everything from notable bakeries to childhood play spaces was recorded. 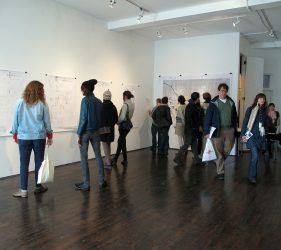 Showcased the results with an exhibition: The maps created during the workshops held by Bricolage Urbain and by other project participants were exhibited in Articule’s gallery space in October 2011. 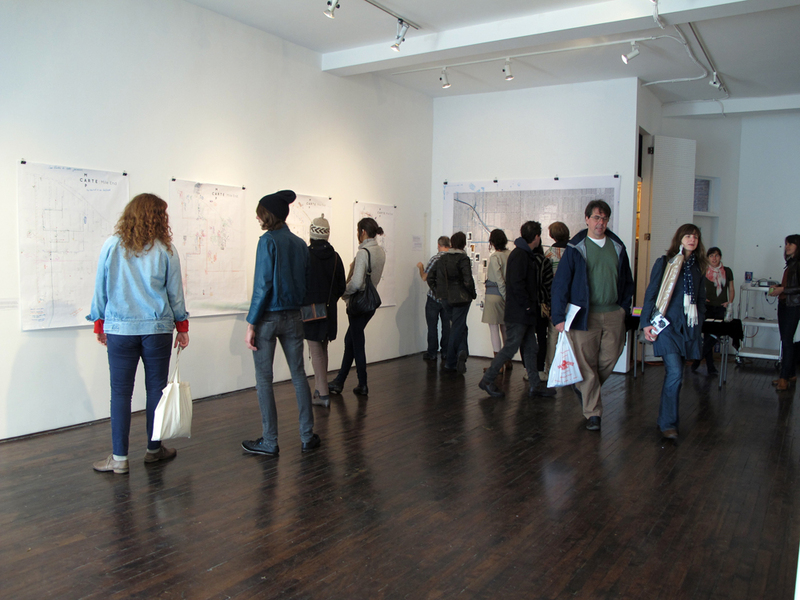 Over a period of ten days, residents and visitors to the neighbourhood had the opportunity to view local examples of social cartography and to create their own personal maps. 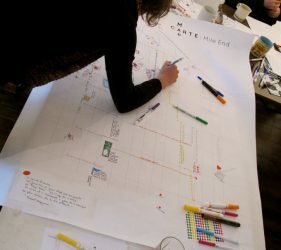 Cartographisme is a Mile-end participatory mapping project initiated by a local group of urban planning and design consultants. Cartographisme invites residents to create and share maps of their neighbourhood based on their local knowledge, past histories, sensory experiences and interests. 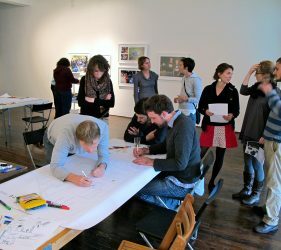 By engaging in collective mapping exercises, Cartographisme aims to ignite discussions on our definitions of public spaces and the experiences and values attached to them. 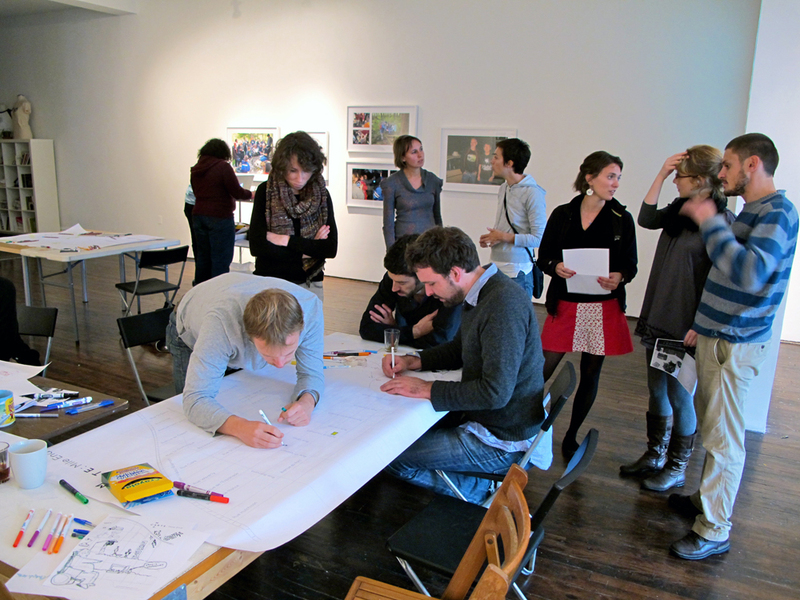 Maps allow people to share knowledge of spaces. This can be knowledge on way-finding, sites of interest, personal stories and neighbourhood histories. Typically produced by professional cartographers or municipal authorities, city maps present one version of space. These maps are generally not conceived by citizens or reflective of their everyday experiences. Cartographisme invites residents to share all sorts of knowledge that can be viewed as “public.” Community maps can help promote new understandings of networks, relationships between people and places, and perceptions of the world. Created through exchanges between citizens, examples of maps that can be produced for the exhibition include: areas undergoing gentrification, cultural, music and artistic spaces for creation and exhibition, lost histories, proposals for alternative uses of public spaces, amenities for families, urban gardens, best seats, micro-climates, public art and graffiti areas, trees map and environmental heritage, vacant lots, spaces under transformation, sites of violence and public safety, contemplation areas, Hassidic amenities, views for a good sunset, best make-out spot, etc. These participatory maps then become a visual outlet for what is often not discussed but experienced day-to-day. This mapping project is a tool for legitimizing local knowledge, which can then be used by residents, workers, neighbourhood visitors, community stakeholders, municipal planners and elected officials. 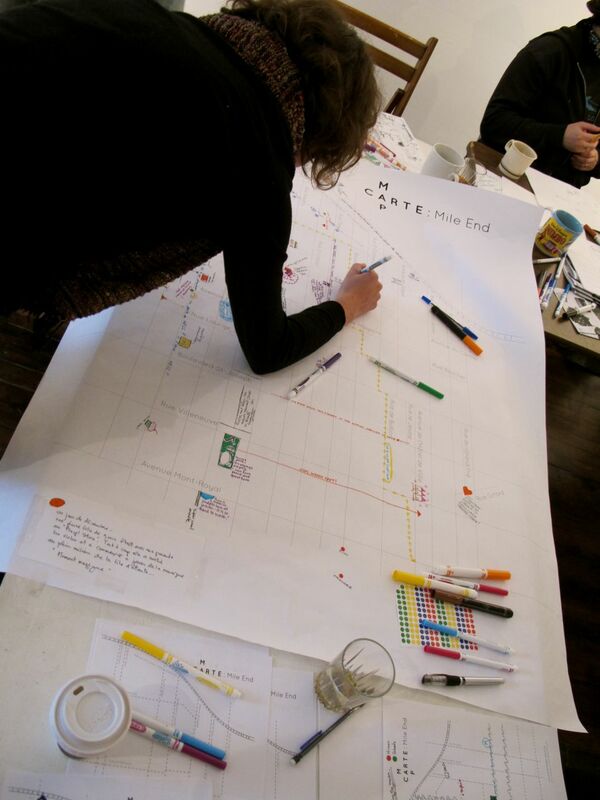 Beginning with the Mile End neighbourhood, it is hoped that community-based maps can help guide and frame discussions about a neighbourhood’s present and future.